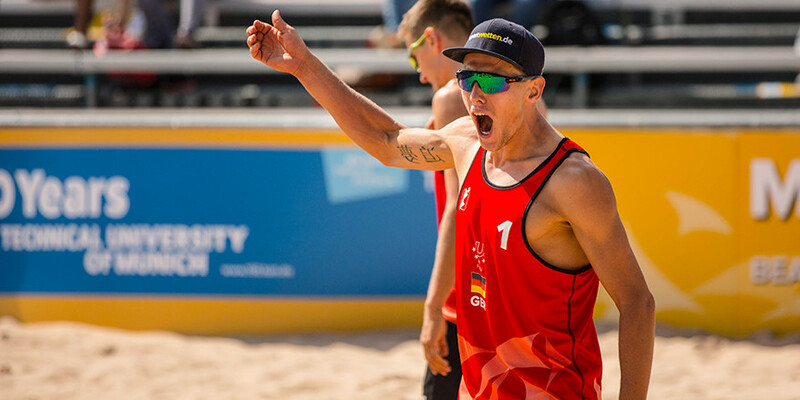 On the fourth day of competitions both German men's teams reached the finals of the 9th FISU University World Championship Beach Volleyball (WUBC). The German women’s team Lisa-Sophie Kotzan/Julika Hoffmann finished 18th, losing to France's Ophélie Lusson/Mia Severine Guyot Polverini 1:2 (21:10, 11:21, 12:15). On the Center Court, Dan John (Tübingen) and Eric Stadie (Berlin) won in front of 800 spectators against the Austrian duo Felix Friedl and Max Trummer in a three-set thriller (21:15, 17:21, 15:10). They were followed by the twins Bennet and David Poniewaz (Kiel) who won against the Swiss Yves Haussener and Florian Breer (21:17, 21:13). After John/Stadie's sensational victory against the Dutch team Ruben Penninga and Tom van Steenis in the quarter-finals (16:21, 21:16, 16:14), the semi-finals went over three sets. "We wanted to serve on Friedl and put pressure on him. That worked very well in the first set, but unfortunately not in the second," John explained the strategy. Accordingly, the second set went to the undefeated Austrians (21:17). The third set was even - until Germany turned up the heat at 9:10 and won the game with six points in a row. "The tie break was even overall. In the end, we changed our tactics. I pretended to play diagonally as a blocker but played Longline instead. Eric's strong defence finally secured us the place in the final," John summed up the furious finish. The Poniewaz twins went into the semi-finals as favourites after their strong appearance in the quarter-finals against the Frenchmen Olivier Barthelemy and Romain Di Giantommaso (21:19, 21:18). They left little doubt about their favourised role against the Swiss from the start and won clearly after two sets (21:17, 21:13). A lack of coordination by the Swiss and a strong block play by the Germans led to two clear set wins. "The Swiss are known for defending very well. But we played a lot of longline and it worked out well," David Poniewaz was pleased. The loud support of the fans inspired him: "The crowd is simply crazy. The atmosphere is outstanding." 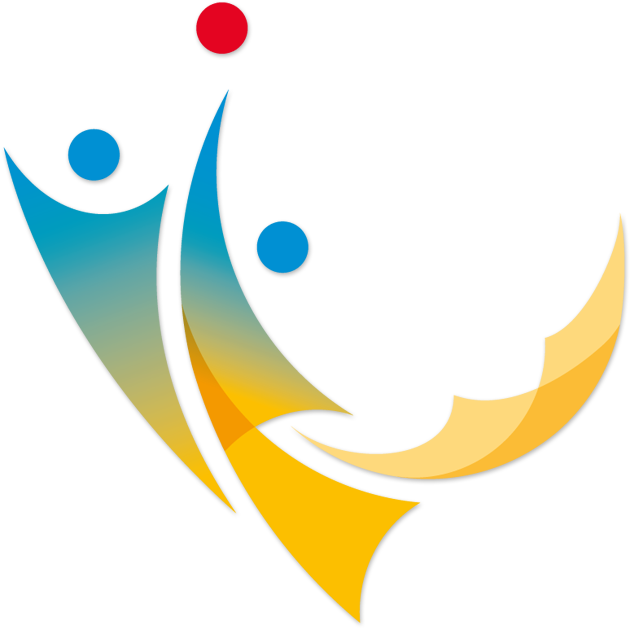 The German final will finish the WUBC tomorrow at 4 pm. A week full of high-class beach volleyball matches comes to an end.